The Pro Football Hall of Fame hosted a party for what is often referred to as the ‘Super Bowl’ by Cleveland Browns fans - the NFL Draft. And Superior Portables was proud to provide restroom trailers and sponsor the event. With hundreds of attendees expected, everything had to be perfect. 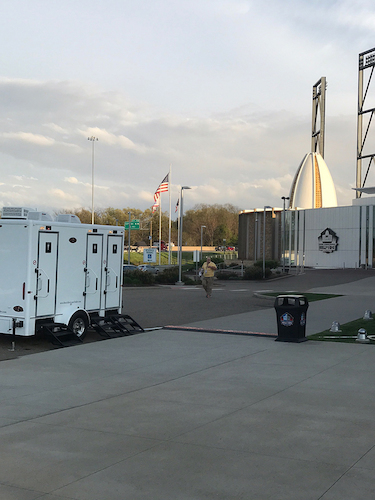 Our restroom trailer experts worked with the Hall of Fame event planners to ensure the proper number of restrooms were provided and they were placed for easy access. We made sure the bathrooms arrived on time and fully stocked, so event planners could focus on more important details. We even picked up the trailers the morning after the event. 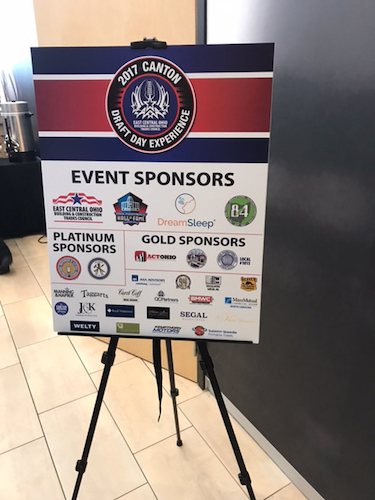 We were honored to partner with the Hall of Fame as a sponsor and restroom provider for the Draft Day Experience and look forward to working with the them as they continue to grow and revitalize the Canton, Ohio and greater Stark County community. Interested in restroom trailers for you event? Contact us today to work with the best.